It started with a scuffle at the Utah Division of Child and Family Services on May 5, 2016. Christopher Montoya and Monica Martinez were “combative, threatening and agitated” because they could no longer see their two daughters. The courts had taken away the couple’s custody rights and witnesses said they appeared to be under the influence of drugs. Christopher John Montoya and Monica Martinez left the agency and drove to the babysitter’s location for 3-year-old Marae Montoya and her 11-month-old sister Cynthia. The couple grabbed the two children without permission from their legal guardian and drove away in a white 4-door Cadillac sedan. Clinton, Utah, Police Sergeant Matt Fawbush was assigned to the case after a call from the babysitter came in at 3:08 p.m. The Clinton Police Department had never issued an AMBER Alert and it was also the first time the 14-year law enforcement veteran had to consider issuing an alert. The parents were believed to be under the influence of a controlled substance. Both parents had mental health issues, violent tendencies and were transient. The couple no longer had custody and had a no-contact court order based upon a history of domestic violence while the children were present. “I had a sense of urgency and wanted to cover all aspects of the investigation to assure the quick and safe recovery of the children,” said Fawbush. 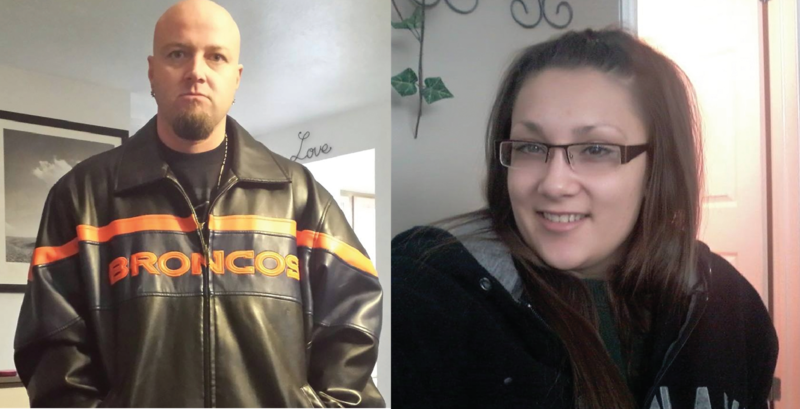 A Missing/Endangered Advisory went out to law enforcement at 7:43 p.m. and the statewide AMBER Alert was issued at 10:39 p.m. Fawbush also reached out to law enforcement in Colorado in case the suspects traveled through that state. A clerk at the Motel 6 in Gallup, New Mexico, recognized the suspects when the couple requested a room around 2:00 a.m. the next day. The clerk saw the AMBER Alert on social media, verified the vehicle matched the description in the alert and notified police. “The media played a huge role in disseminating the information to the public on a large scale, which ultimately helped with the recovery of the children,” said Fawbush. Gina McNeil has been Utah’s AMBER Alert Coordinator for nearly 3 years. She is also the state’s Missing Persons Clearinghouse Manager and has been actively involved in all 43 AMBER Alerts issued by Utah. McNeil has helped to develop and strengthen Utah’s child abduction alert system since its inception in 2002. The Utah AMBER Alert Committee has a review with law enforcement agencies after each alert is issued. The review is a chance to find out what worked and what can be done better the next time. “You learn from every alert and continue to improve the system each time,” said McNeil. The suspects were returned to Utah and initially charged with two counts each of child kidnapping and one count of burglary. They both pleaded guilty to two counts of custodial interference. Their two children are now safe with their legal guardian.